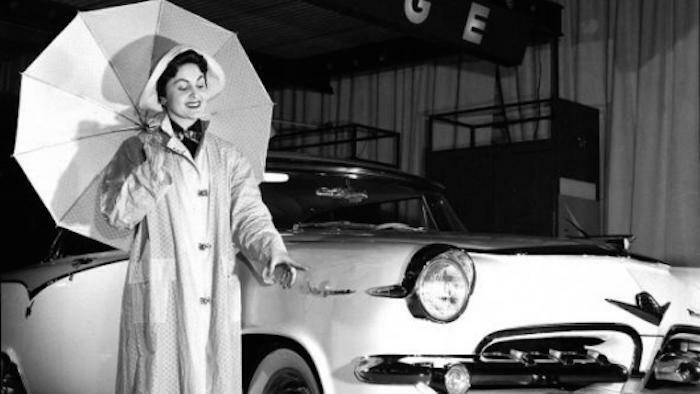 After World War II, women became a vital part of the American workforce. They were no longer confined to the roles of housewives or secretaries, they also started wearing the hats of managers, doctors, lawyers, scientists and small business owners. 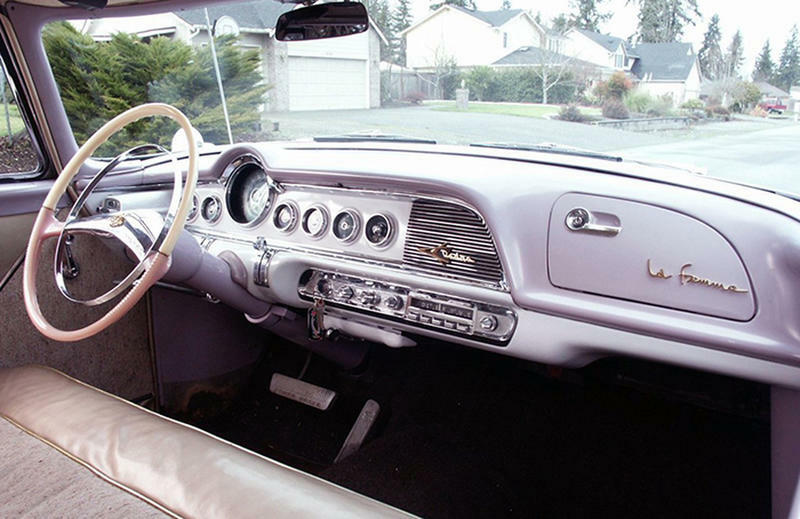 And with the need to now get further than the local grocery store, a new need for female independence on the open road emerged. 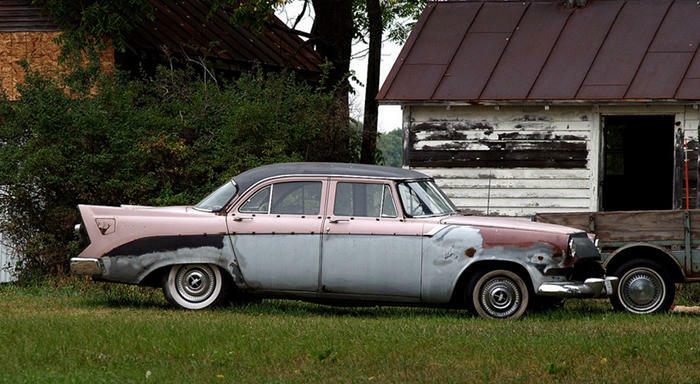 Dodge wanted to fill that need – with a stylish touch of pink. 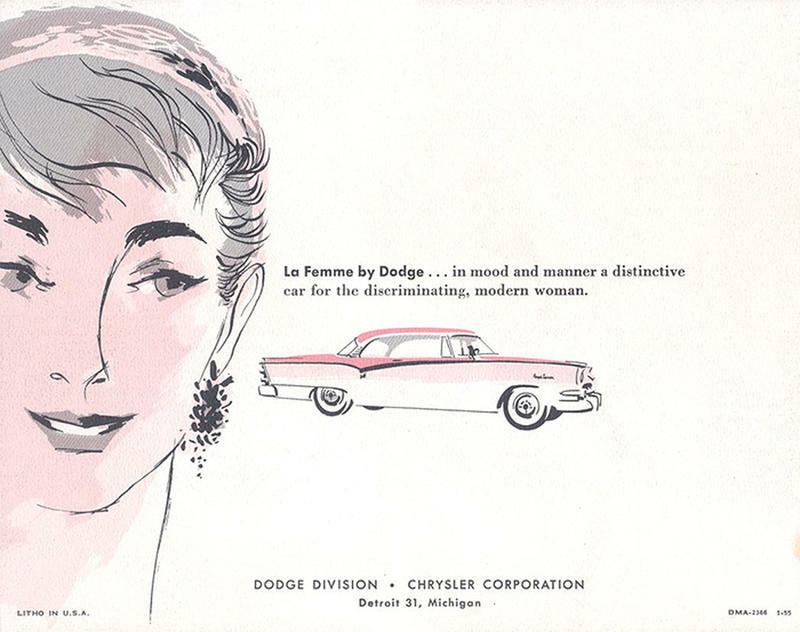 Between 1955 and 1956, American automobile manufacturer Chrysler produced the first car specially marketed to women - the 1956 Dodge LaFemme. 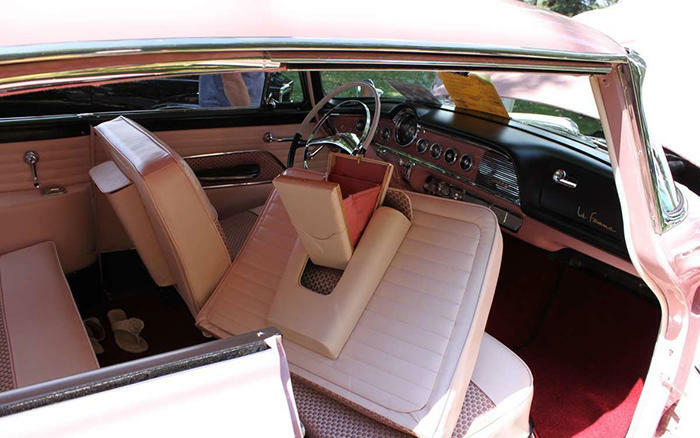 This sassy car came in pink exterior and upholstered in a pink rosebud tapestry with pink vinyl trims (of course, it’s gotta be pink! ). 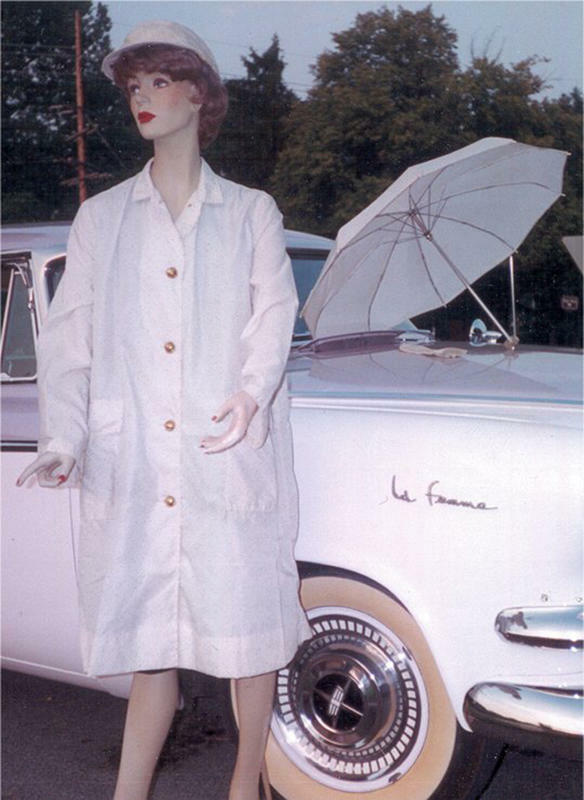 The car also came with equally chic accessories - with a pink lipstick holder, pink umbrella and pink handbag. 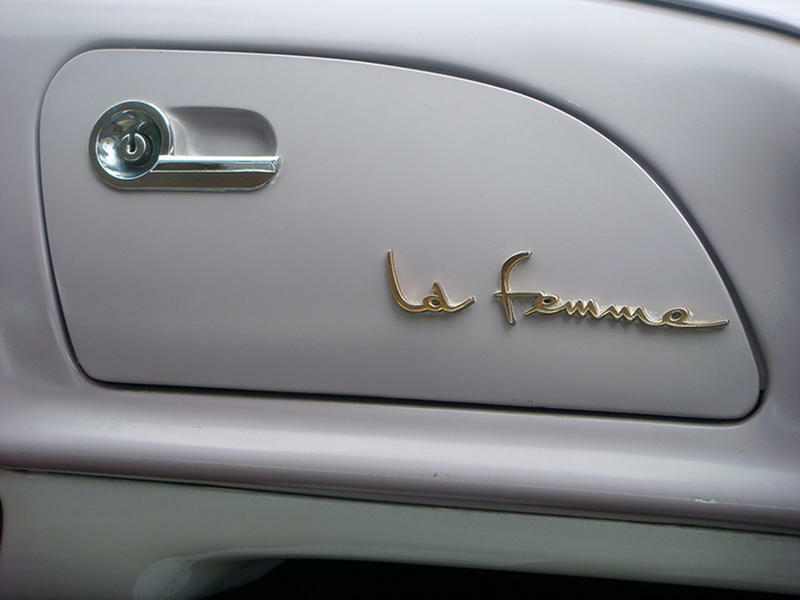 The LaFemme also comes with a keystone-shaped purse that could be stowed at the back of the passenger seat. 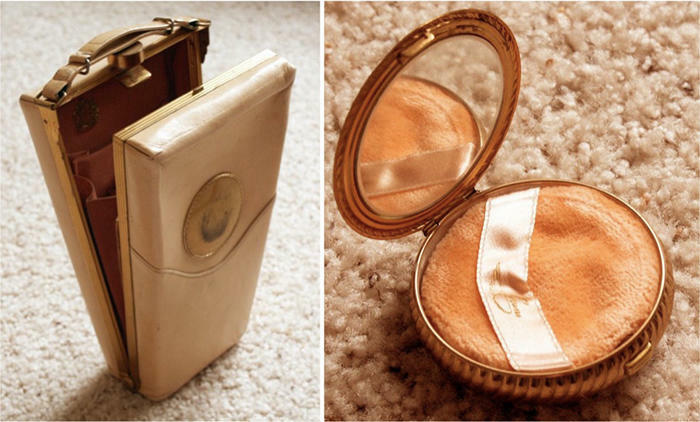 Each purse came readily stocked with a lipstick case, face-powder compact, comb, cigarette case, cigarette lighter and change purse. 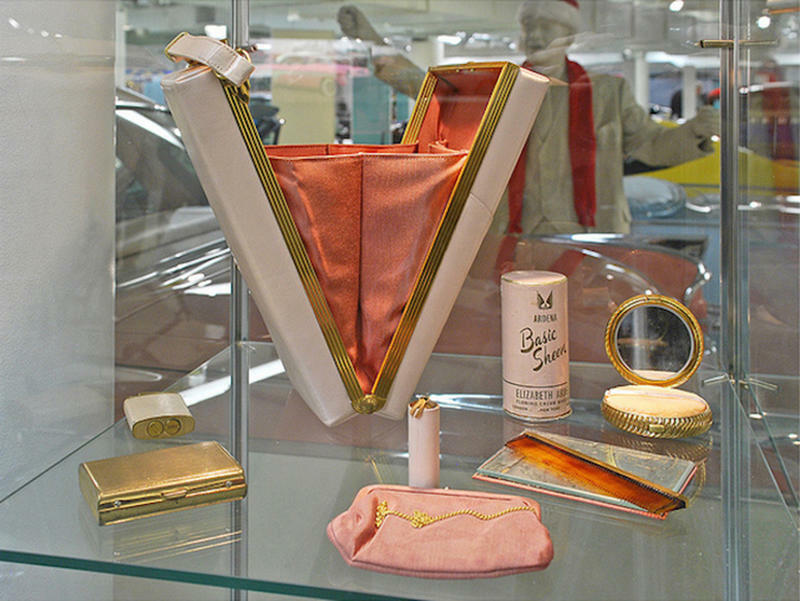 These freebies, all made of faux-tortoiseshell plastic or pink calfskin and gold-tone metal, were designed by “Evan”, a famed makers of women’s garment and accessories in Chicago at the time. 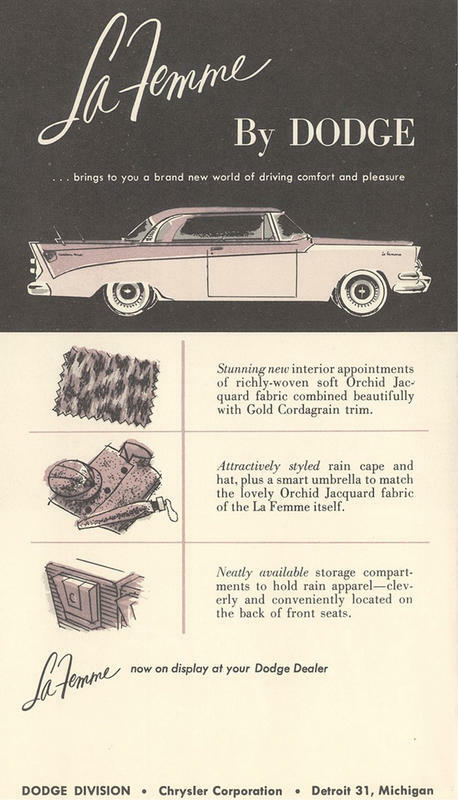 Stowed behind the drivers seat compartment were raincoat, rain bonner and umbrella, all in rosebud pink to match the interior of the car. 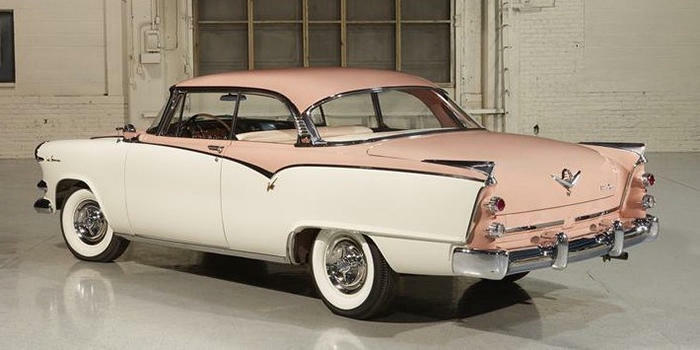 Dodge La Femme was originally sold as a 1955 Dodge Custom Royal Lancer “spring special,” so you can have it for just $143 extra. 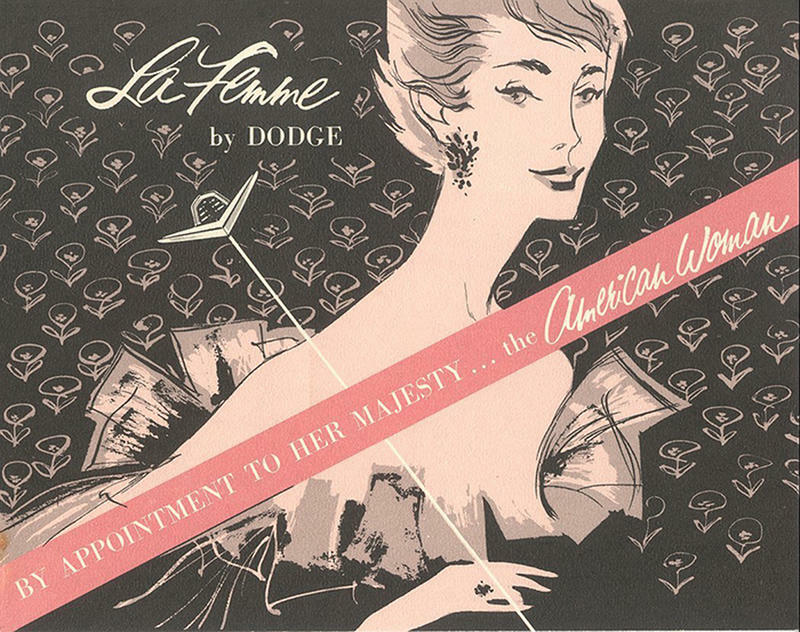 Unfortunately, Doge has discontinued its production the very next year and La Femme has been more or less forgotten in automobile history. 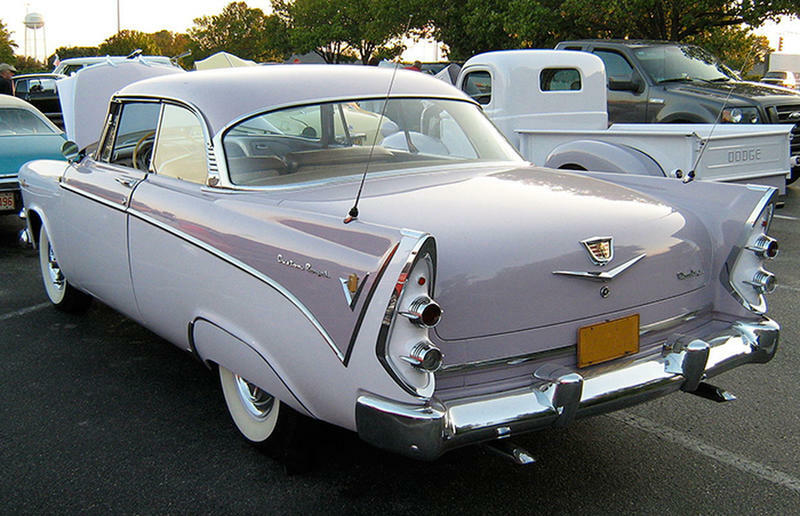 Because it came as an optional package to a standard model, its exact production numbers are not known, although research suggests fewer than 2,500 were manufactured between 1955 and 1956. 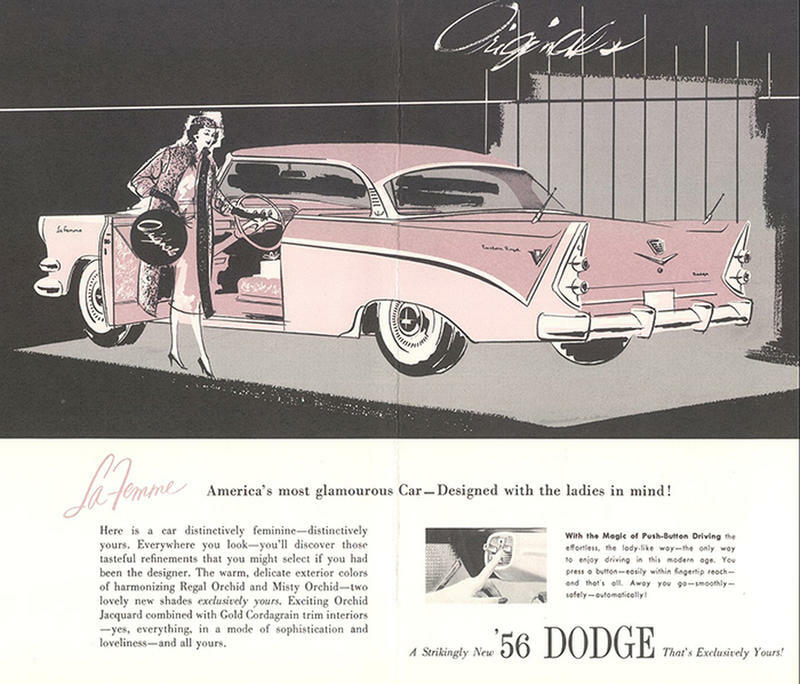 Fewer than 60 Dodge La Femme’s are known to survive today. 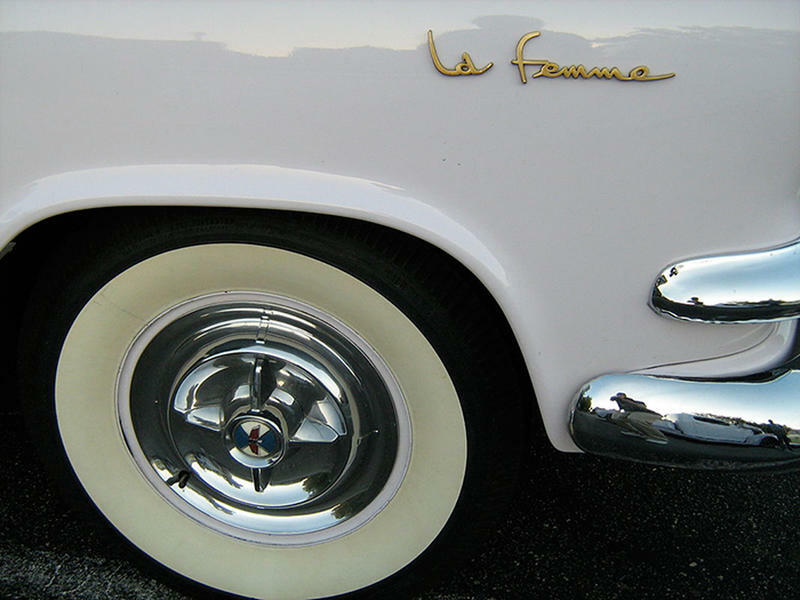 Some suggests that the flop of the La Femme model was due to its lack of marketing exposure. It was only displayed on single-sheet pamphlets; there were no shiny demonstration models and no evidence of magazine, radio and television advertisement. 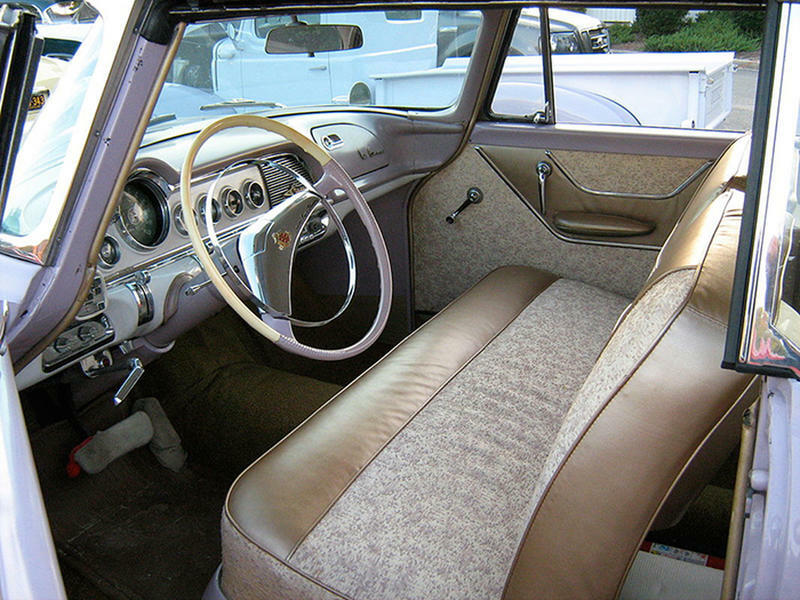 It was likely most American women never even knew it existed at the time.